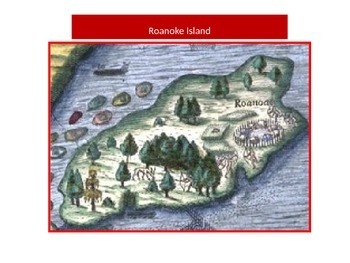 The Lost Colony of Roanoke - REVISED!!! 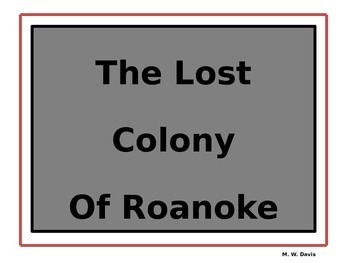 This is a short powerpoint presentation covering the facts and mystery of the Lost Colony of Roanoke, England's first attempt at establishing a colony in the New World. 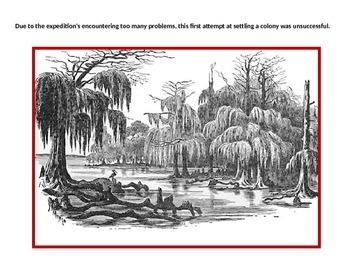 Full of colorful pictures and facts that will spur the students' interest in the mystery of the colony. Includes five slide multiple/choice assessment that the class can do together right on the document camera. Same assessment is offer on one slide so that the teacher can print it off and give the assessment individually to check for understanding. 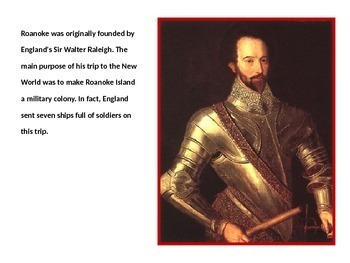 The mystery of Roanoke is always a favorite among students!!! !